The Sardine Tin: Off for More Sunshine! Apologies if this blog has been a little "bitty" recently. Seem to be madly rushing without going anywhere. Well, this Saturday (assuming the ash cloud doesn't creep back over Southern England) I am off on my quarterly work trip to Dubai. I will try and post a blog or two with my impressions while I am out there if I get the chance, but realistically may not have the time, inclination or technical facilities to do so. 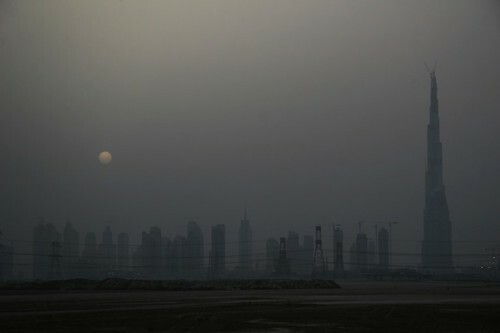 In the meantime, marvel at the ridiculousness/wonder* (delete as applicable) of the Dubai skyline. Have You Ever Fancied A Bit On The Side? You Shall Go to the Mall!